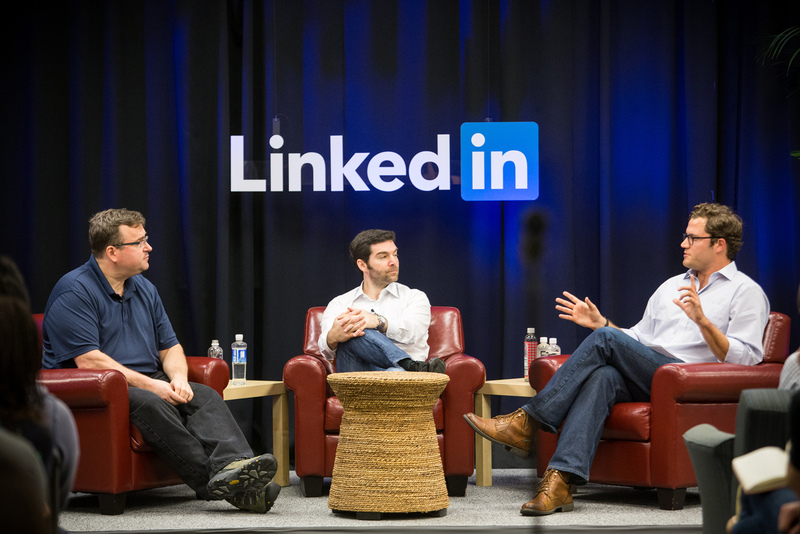 Last week, I had the pleasure of chatting with LinkedIn co-founder and executive chairman Reid Hoffman and CEO Jeff Weiner for the LinkedIn Speaker Series about our new book The Alliance: Managing Talent in the Networked Age. The premise of the book is that the employer-employee relationship is broken. Managers face a seemingly impossible dilemma: You can’t afford to offer lifetime employment. But you can’t build a lasting, innovative business when everyone acts like a free agent. The solution? Stop thinking of employees as family or free agents, and start thinking of them as allies on a tour of duty. Inspired and informed by LinkedIn’s founding, and filled with stories and lessons from companies throughout Silicon Valley and beyond, The Alliance teaches managers how to recruit, manage, and retain today’s entrepreneurial employees. Both company and employee should add value to each other. As Reid described it, think of employment as an alliance: a mutually beneficial deal, with explicit terms, between independent players. In an alliance, employer and employee develop a relationship based on how they can add value to each other. Companies need to tell their employees, “Help make our company more valuable, and we’ll makeyoumore valuable.” Employees need to tell their companies, “Help me transform my career, and I’ll transform the company’s trajectory." Everyone should be on a tour of duty, and there are different kinds of tours. A tour of duty represents a commitment by employer and employee to a specific, mutually-beneficial mission over a realistic period of time. Of course, there are different types of employees and different roles. Jeff named the three sub-types. Rotational tours are programmatic “on-ramps,” such as a 2-year analyst program. Transformational tours are highly personalized missions that promise career transformation for employee, and company transformation for the company. Foundational tours are for employees who cannot envision working anywhere else; who have become part of the emotional fabric of the company, and vice versa. Institutionalize network intelligence. Jeff and I both referred to Reid as one of the best in the world at using his network to gather intelligence on what’s happening in the industry. Managers should encourage employees to do the same: look outward, tap their network, gather intelligence on industry happenings, and share what they learn with their colleagues at LinkedIn. Of course, LinkedIn is quite helpful for doing this. What’s more, encouraging employees to leverage their networks also helps them be better networked in their career later on—which exemplifies the spirit of alliance. Lifetime employment may be over, but a lifetime relationship can endure. 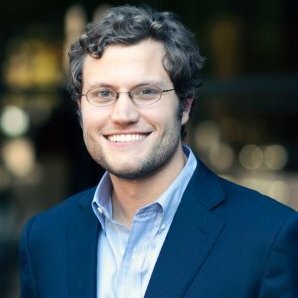 Reid described the creation of the LinkedIn Alumni Network and how the company aspires to invest in a lifelong relationship with its former employees. Fittingly, there were 10 LinkedIn alumni who joined us at the event. Watch the video, visit the Amazon page for The Alliance to learn more about the book, and join the LinkedIn Group for The Alliance to join the conversation.